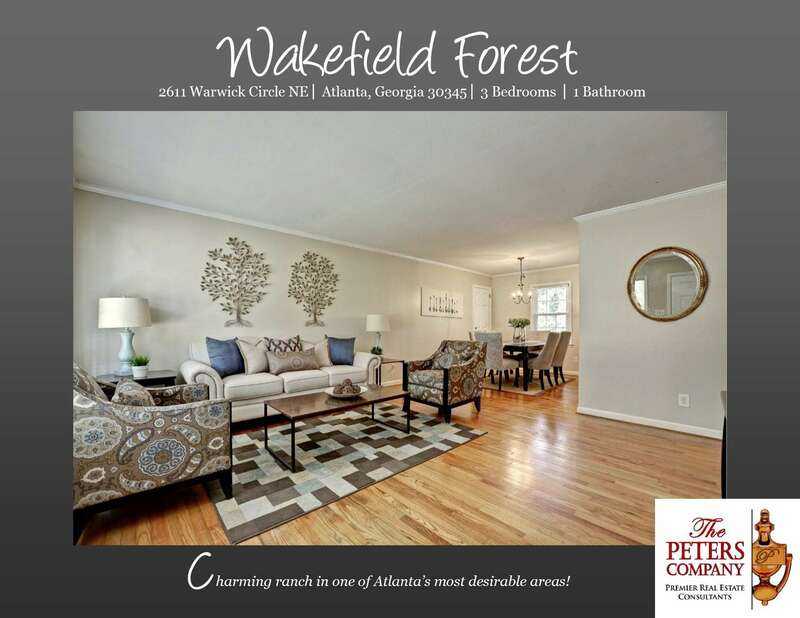 Just Listed :: Charming Ranch in Wakefield Forest! Welcome home! Here you will find the location and value that you’ve been looking for. The charming character of this brick ranch will never go out of style. The close proximity to I-85, I-285, and Buford Highway makes this home convenient to and from any direction. Being in this popular area inside of the perimeter also means you can enjoy many nearby restaurants and shopping spots! Kitchen features ample cabinet space. Spacious living room has tons of natural light from a large front window. Separate dining room is ideal for entertaining. Bedrooms are well-sized and bright. Large deck is perfect for grilling out. Four legged friends will enjoy the large, level backyard. Carport a bonus for the area. ← Just Listed :: Adorable Craftsman in East Atlanta!